LOCATION: Kyotango, Kyoto pref. ; 45km from Kinosaki Onsen. Accessible by train (Amino Sta.) and bus or car. 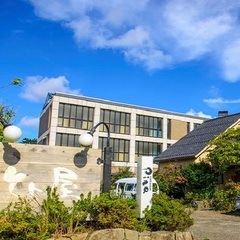 Family-run inn Totoya is located in Kyotango, just 50 meters from the beach and just 16.1 km from Yuhigaura Onsen. 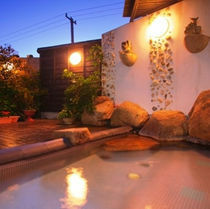 The rooms have great views of the rustic landscape of pine trees and the beach. You can feel natural wind flow that makes your time go slow and peaceful. A charm of this inn is its hospitality. Okami (lady boss) is enthusiastic and dedicated to help guests have a memorable time. 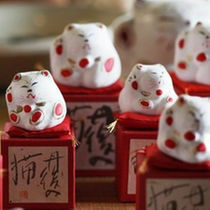 There are a lot of unique activities you can try like making Barazushi art, trying on Tango chirimen silk kimono, boat tour exploring the coast of San’in kaigan geo park, or agriculture experience (harvesting rice and planting trees). We like to take pride in our crab cuisine that is served year round. All of our seafood is caught fresh in the local harbor, among the catch is Taiza crab red snow crab. Crabs we serve are chosen and bought directly by the owner’s wife from crab auction. 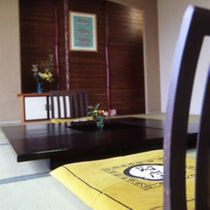 Totoya is definitely a great place to enjoy peaceful countryside life time, away from the hustle and bustle of cities. JR from Kinosaki Onsen Sta. 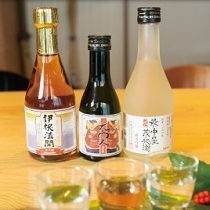 Bar Counter You Can Have Our Original Sake "Daimajin"